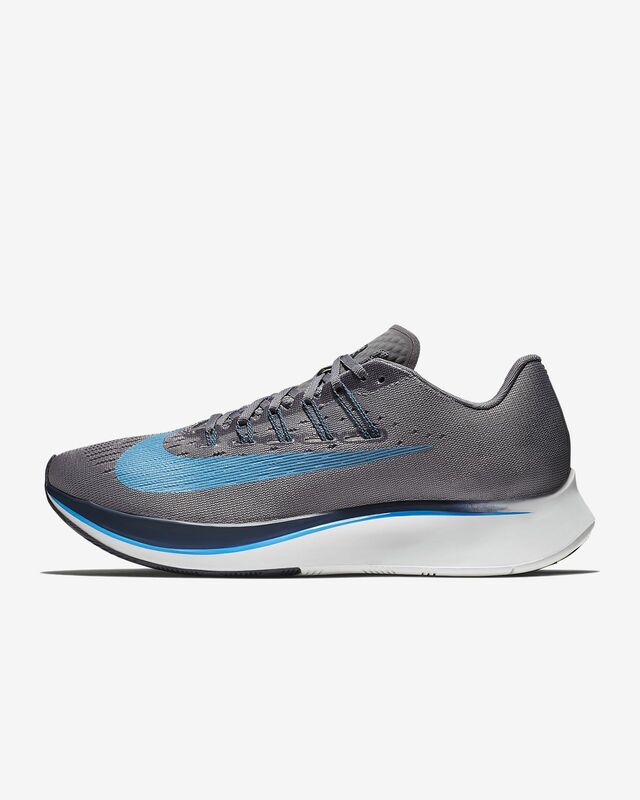 Built with a carbon-infused nylon plate inspired by the VaporFly 4%—our most efficient marathon shoe ever—the Nike Zoom Fly Men's Running Shoe is the perfect response to the demands of your toughest tempo runs, long runs and race days. FROM TRAINING TO RACE DAY. Nearly seamless Flymesh in the upper is designed to be more breathable through the top of your foot to help keep it cool as your run heats up. Ultralight Flywire cables hug your foot the more you tighten your laces, providing a secure fit that moves with you. Reinforced rubber heel for lasting durability. 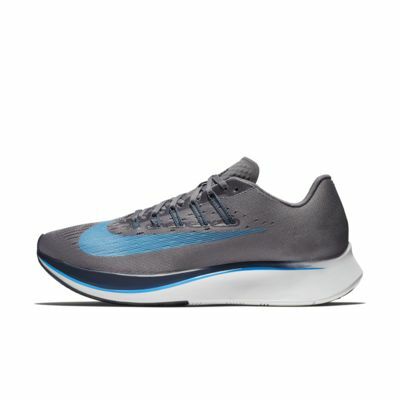 I love my pegasus 35 and my legend reacts so i bought these zoom flys. Worst running shoe ive tried in a very long time. Hurt my arches and my knees alot. Had to return them after 2 runs. Very let down by this shoe. Really wanted to like it. I love this shoe. The cushion especially on the heel is crazy comfortable. This is very good for me because I experience ankle and knee pain and when im running in these, i dont experience it. Its also very breathable and light. Also its very supportive. Its also a very good casual shoe as well. This is the shoe i use for running and I truly recommend it. NOT a runner, BUT on my feet 12-17 hours a day! I have one full time job, and one part time retail job. Five out of seven days a week I'm wearing these at one of the two jobs if not both! Super comfortable, my feet love them while wearing them, and even more so once I'm able to get them off and be off of my feet. I'm currently on my second pair, and have thought about snagging some more at these sale prices! Possibly the most comfortable "running" shoe that I wear for everything BUT running! Pretty sure you'll agree if you give them a try.